Can Star Trek's world with no money work? "Star Trek" has dared to "boldly go where no man has gone before" -- including a world without money. Through its many iterations -- including TV series and films like Enterprise, the Next Generation, and Deep Space Nine -- one thing is constant in the "Star Trek" franchise: It's set in a future world where accumulating wealth does not carry the same value as in the present day. In this world, characters live in an economy where currency isn't necessary. "One of the things that's interesting about 'Star Trek' is that it does try to imagine a post-scarcity economy where there's no money. People don't work for it. People don't work because they have to but because they want to," said Annalee Newitz, the editor of Gawker's io9 blog. Newitz -- along with Nobel Prize winner and economist Paul Krugman, "Treknomics" author Manu Saadia, economics professor Brad DeLong, Fusion's Felix Salmon and "Star Trek" writer Chris Black -- discussed economics through the lens of the "Star Trek" world at a New York Comic Con panel Sunday. Krugman said even if objects are freely available, it doesn't mean everyone is satisfied. 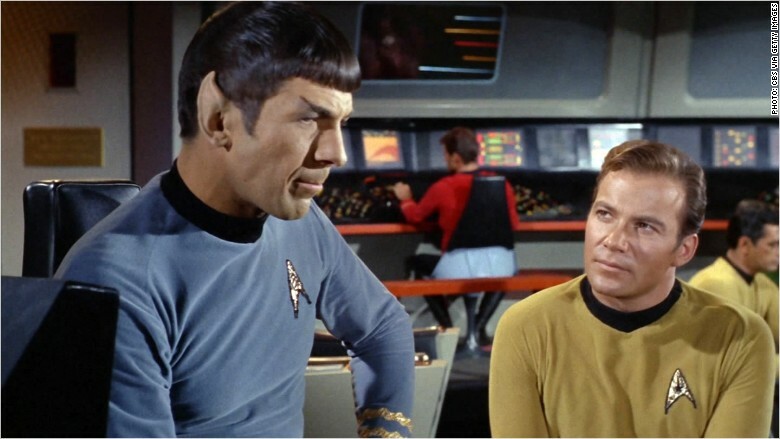 "In 'Star Trek,' there are replicators that can make anything you want. But it can make any THING that you want," Krugman said. "We spend only 30 percent on our income on goods and 70 percent on services. The replicators won't help with [services]." He added that if services are freely available through "servitors," it becomes "a world where it's hard to tell the difference between sevitors versus slaves." Newitz said the problem is illustrated in one episode of the second season of "Star Trek: The Next Generation." In the episode "The Measure of a Man," the characters consider whether Data -- a self-aware android -- is his own person or is in fact property. "We're constantly being reminded that there may be other systems of labor, like slavery [...] that are supporting this wonderful life," Newitz said. "That's one of the wonderful things about 'Star Trek,'" she added. "It allows us to have that kind of thought experiment."